M.E.C.’s precisely machined quad-ridge to double-ridge transitions allow the connection of quad-ridge waveguide to double-ridge waveguide with low insertion loss and good match. In the overlapping frequency band common to both waveguides, VSWR is 1.06:1 max. Material is aluminum. Finish is chromate conversion per MIL-C-5541, Class 3, and paint is gray epoxy enamel. Currently, M.E.C. 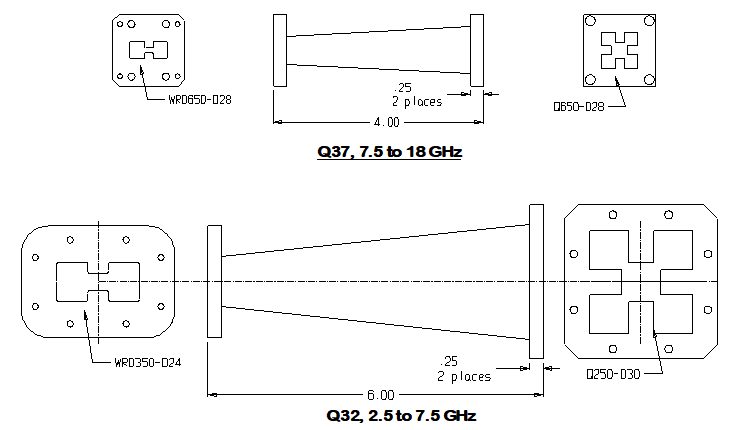 has components for the two most popular frequency bands, Q650-D28 covering 7.5 to 18 GHz and Q250-D30 covering 2.5 to 7.5 GHz. 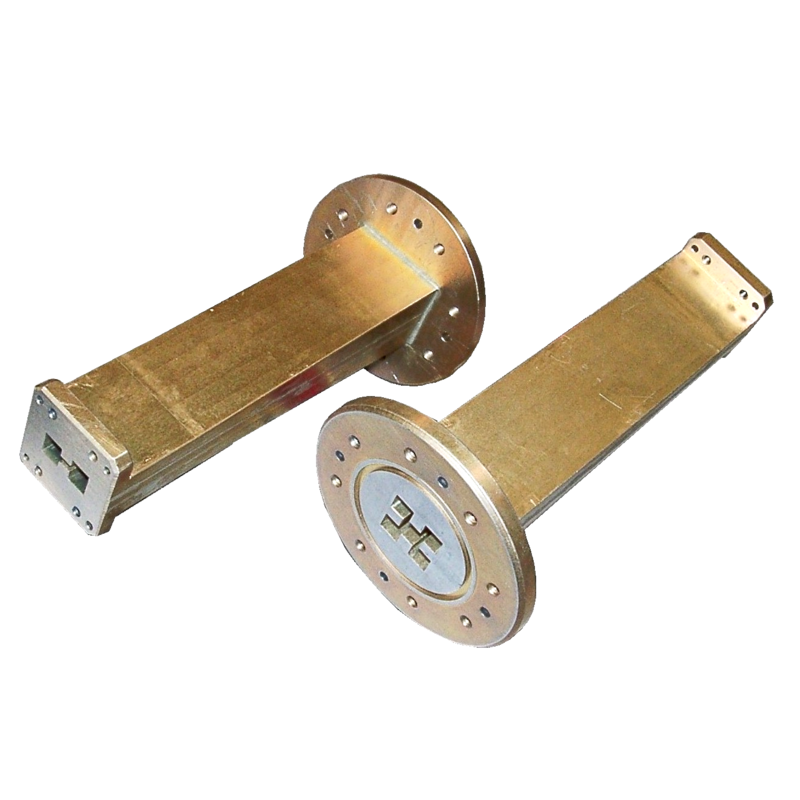 These units roughly parallel the double-ridge waveguide bands for WRD650 and WRD250. (1) Contact M.E.C. with your specific requirements. Other lengths, bands, and types are available upon request. All customer designs are welcome.